3 Bdrm Detached Dwellhouse in approx 3/4 acre. V/bule. Hall. Lounge. Sitting rm. Dining kitch. Bdrm. Bathrm. Porch. 1st flr: 2 Bdrms, 1 with ensuite bathrm. Store rm/Study (CT band - D). Workshop. Garage. 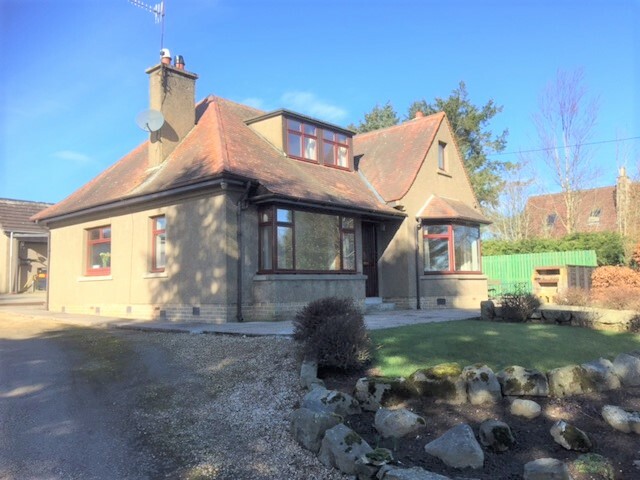 Price over £235,000 Entry by arr. Viewing 07538 435659 or contact solicitors. (EPC band - F). 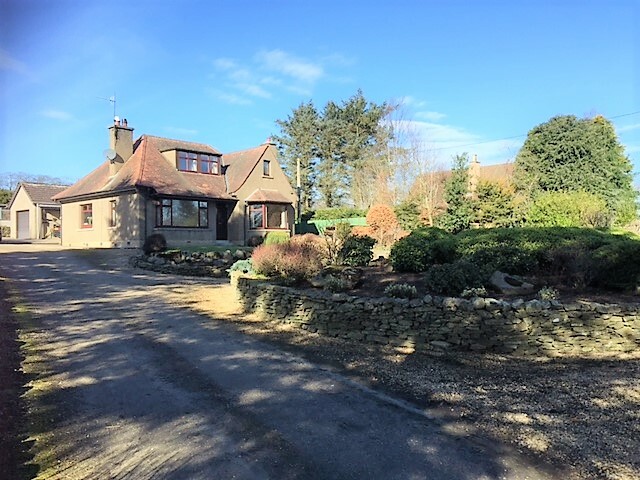 This lovely property is set a short distance from the village of Aberchirder and is approximately 8 miles from Turriff, 9 miles from Banff and 10 miles from Huntly where a great range of amenities can be found. 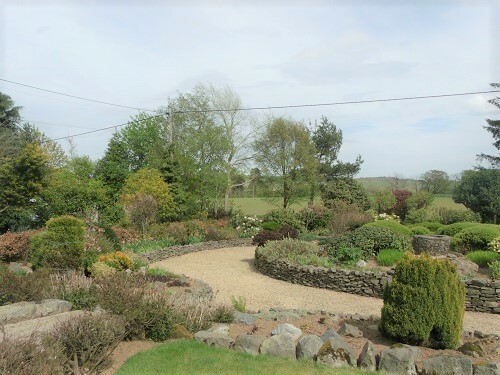 The property sits on a plot of approximately ¾ of an acre and enjoys a good sized landscaped garden as well as a large garage and outbuildings which have access for large vehicles. 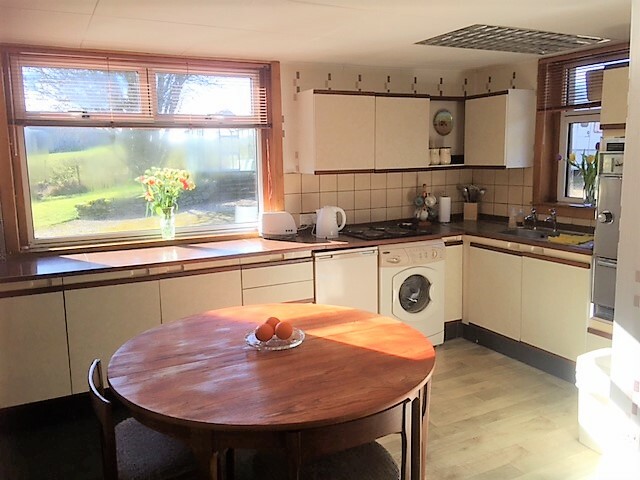 The house itself has been well maintained by the current owners and accommodation comprises: - enter via a glazed UPVC door into the vestibule where a glazed door leads to the hallway. From the hallway there are doors leading to the dining kitchen, lounge, sittingroom, bathroom and the downstairs bedroom. 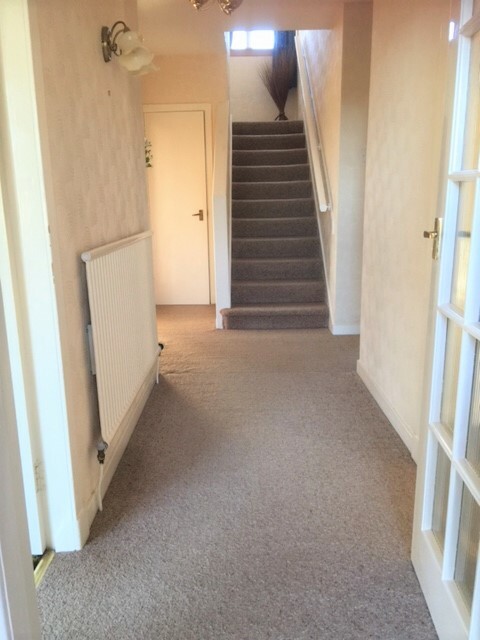 A fully carpeted staircase leads from the hallway to the upper landing where there is access to the two bedrooms (1 with ensuite) and the study/storage room. 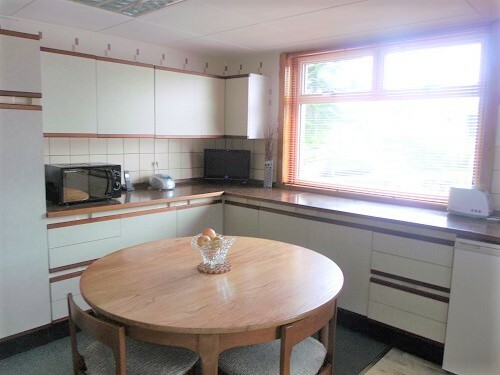 The property benefits from oil central heating and double as well as generous room sizes and double glazing throughout. Hallway Fitted carpet, radiator and two storage cupboards. Lounge (4.11m x 4.55m approx.) Front facing bay window, 2 alcoves with storage cupboards below, coal fire, two radiators and fitted carpet. Sitting room (4.23m x 3.94m approx.) 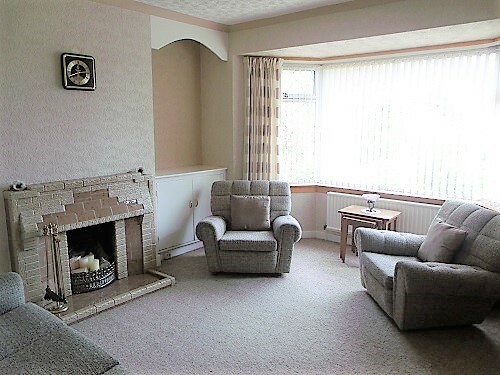 Fitted carpet, front facing bay window, side facing window, radiator, electric fire, alcove with storage cupboard below. 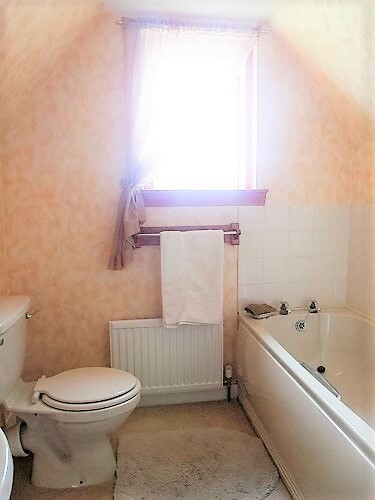 Bathroom (1.83m x 2.69m approx.) 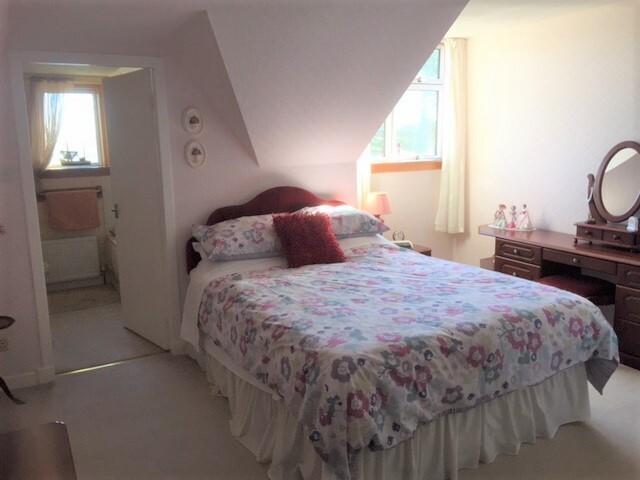 With 3 piece suite comprising w.c, wash hand basin and bidet. Corner shower cubicle. Frosted window and laminate flooring. Downstairs Bedroom (3.34 x 4.06m approx.) 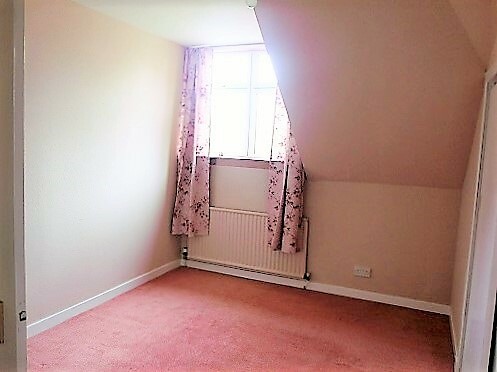 Fitted carpet, rear facing window, under-stair storage cupboard and radiator. Rear Porch Exterior glazed door leading to the rear of the house. Large shelved storage cupboard which also houses the boiler. Heading up the fully carpeted staircase there is a large window on the half landing which allows plenty light. Bedroom 2 (4.34m x 4.13m approx.) 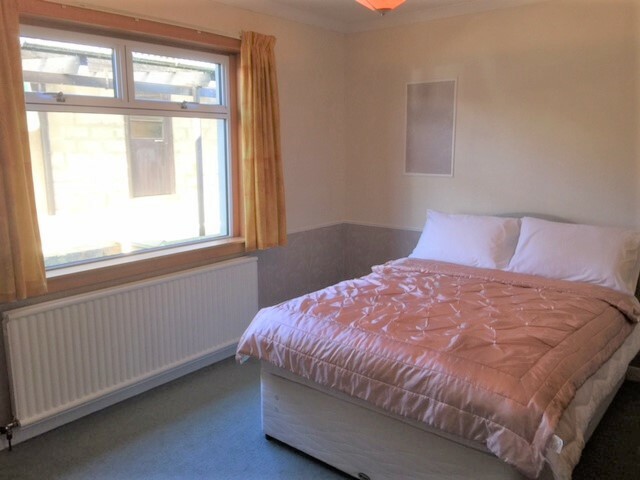 Good sized double bedroom with fitted carpet, front facing window, radiator and 2 built in double wardrobes with sliding doors. 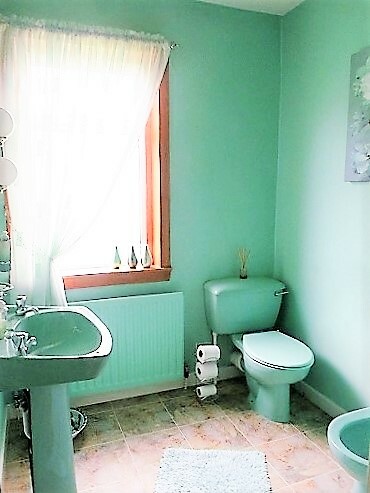 Ensuite (2.30m x 2.04m approx.) Three piece suite comprising bath, w.c and wash hand basin. Frosted front facing window, radiator and fitted carpet. Bedroom 3 (2.81m x 4.09m approx.) 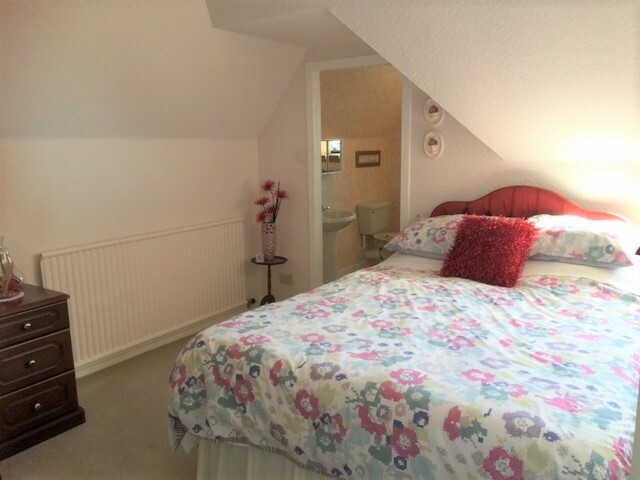 Another double bedroom with 2 built in double wardrobes, rear facing window, fitted carpet and radiator. Storage room / Study This handy room is ideal for storage but could also be put to use as a computer room/study. It also houses the water tank. 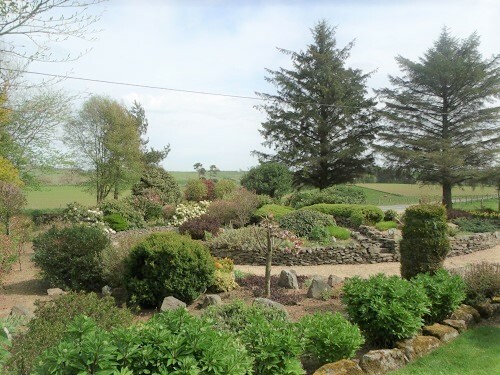 Outside The beautiful garden surrounds the house and is well maintained with a range of mature shrubs and trees. There are two greenhouses as well as a vegetable patch. A gravel driveway provides ample parking for several cars. 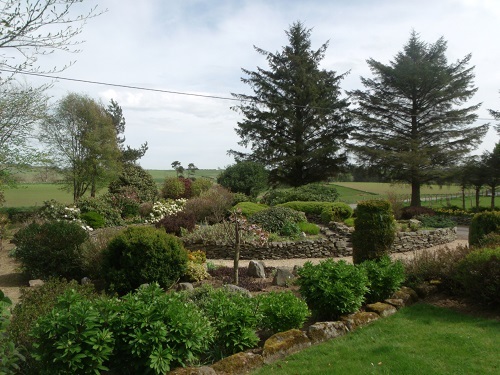 The garden is conveniently floodlit with a patio area and BBQ making it perfect for entertaining. Garage and Carport (4m x 9.27m approx.) With up and over door and storage units. 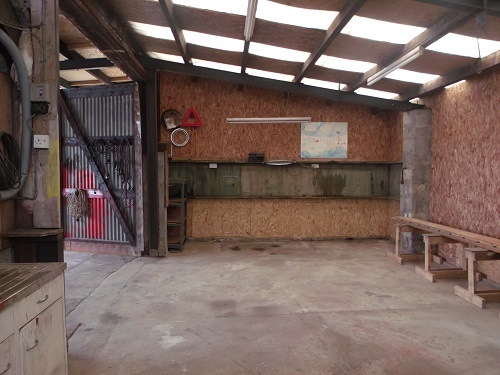 Workshop (9.52m x 11.45m approx. at widest) ‘L’ shaped shed with large doors allowing access for large vehicles. 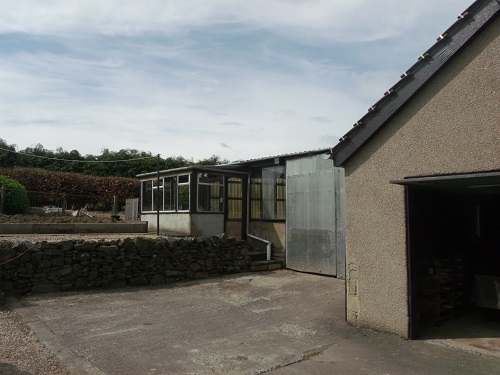 The oil tank is located within this shed. There is a carport between this shed and the house. Note Carpets, floor coverings, curtains, blinds, light fittings and white goods are to be included in the sale. Directions From Turriff head towards Aberchirder on the B9025. 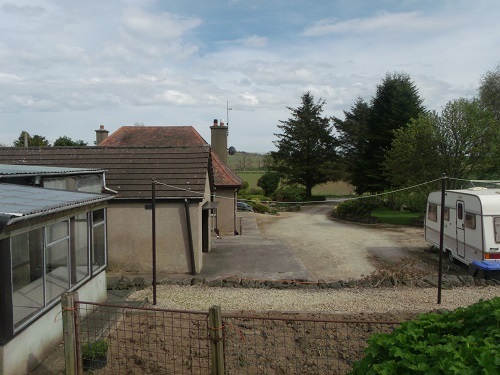 At the T Junction turn left onto the A97 towards Huntly, Continue on this road for approximately 1.5 miles and The Firs is located on the right hand side as indicated by our for sale sign.